Buying Bitcoins with a credit card or debit card can be daunting. 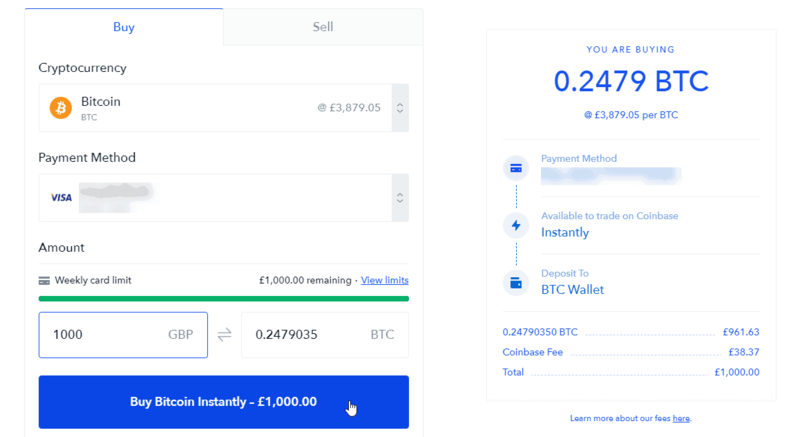 We've put together this step-by-step guide which will show you the trusted sites that can instantly convert your cash to BTC. What are cash advance fees? Why are credit card purchases of Bitcoin usually more expensive? Is there anywhere I can buy Bitcoin with a credit card without verification? 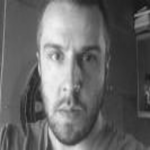 Are there risks to providing my information? Using a credit card to buy Bitcoin is one of the many available payment options today and one that people will often find to be the most convenient. Whether you are looking to build your credit score, make a purchase that isn’t linked to your bank account, or simply don’t have cash at hand, there are dozens of good reasons why you may want to buy Bitcoin with a credit card. And to fulfill this demand there are many cryptocurrency exchanges and brokers that are happy to provide this service. 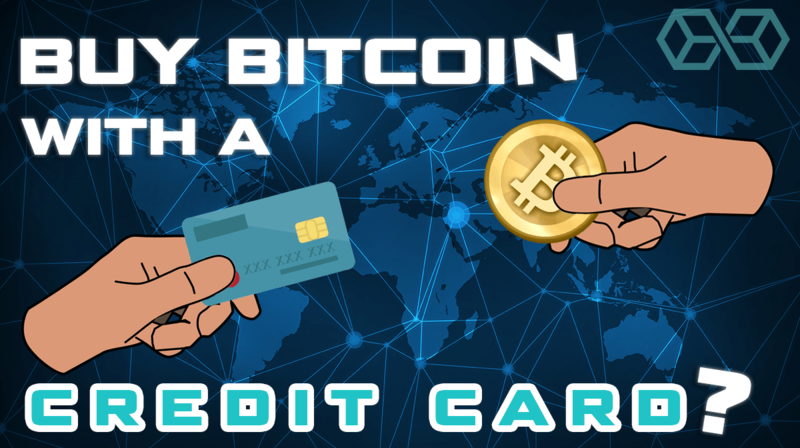 Do you want to know how to buy Bitcoin with a credit card? Well, you’ve come to the right place! However, those looking to buy Bitcoin with a credit card may not know which services they can trust, and which are the best fit for their needs. That’s why we decided to make this guide which lists 6 proven brokers/exchanges and walks you through whole the process step-by-step. A Bitcoin broker is focused on selling you Bitcoin; that’s its main business model. A broker may or may not also provide you with a Bitcoin wallet, which will allow you to store, send or receive Bitcoin. If a Bitcoin broker does not provide you with a BTC wallet, then you will need to set one up for yourself before using its services. Note: Please see our comprehensive review on the Best Cryptocurrency Wallets to find the right wallet for your needs. A cryptocurrency exchange, by contrast, will allow you to exchange fiat currencies, cryptocurrencies, and stablecoins for Bitcoin and vice versa. 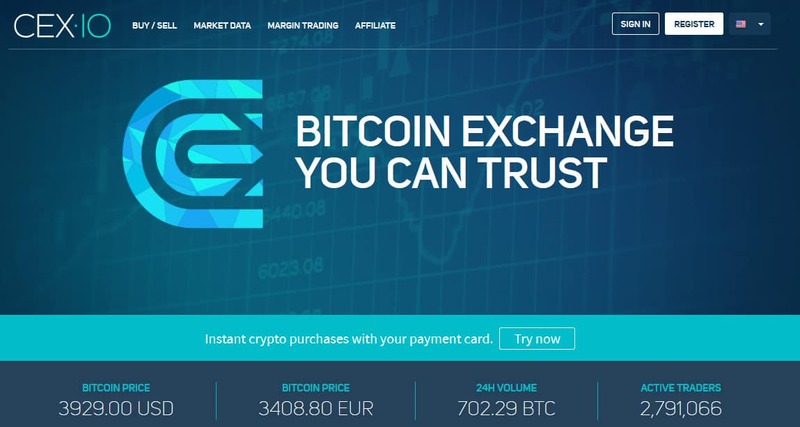 Most exchanges will also offer a wallet service where you can store, send or receive Bitcoin. The exact services provided will differ from exchange to exchange, but in this article, we will cover the top exchanges that let you buy Bitcoin with a credit card. Here is a handy chart featuring 6 top brokers/exchanges where you can buy Bitcoin with a credit card. I will provide full details on how to buy Bitcoin using a credit card for each one below. Also, please see our handy ‘Buying Bitcoin With a Credit Card FAQ‘ at the bottom of this article for further guidance. 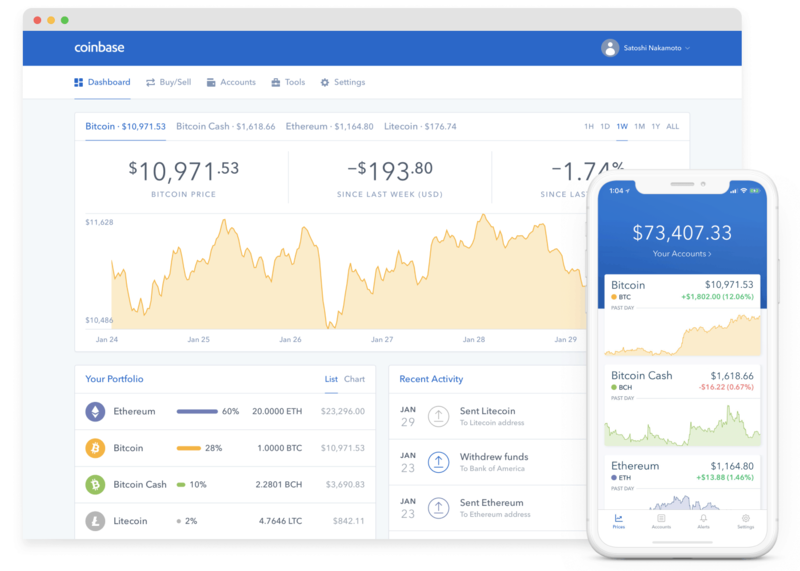 Coinbase is one of the world’s most well-known and trusted cryptocurrency exchanges. 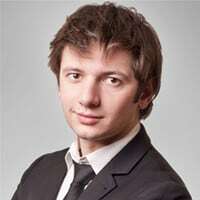 It was a pioneer in popularizing cryptocurrencies and is still one of the market leaders today when it comes to buying, selling, and storing digital assets. 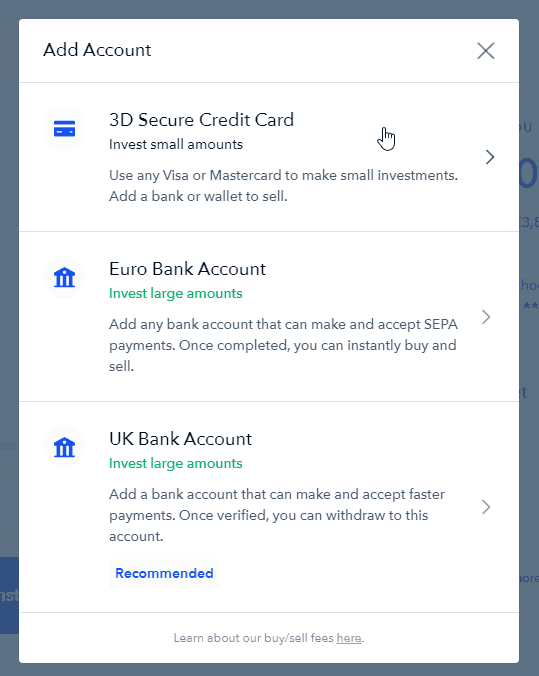 Coinbase has various account levels and corresponding verification requirements which can increase a users buying limit to up to $25,000 per day. 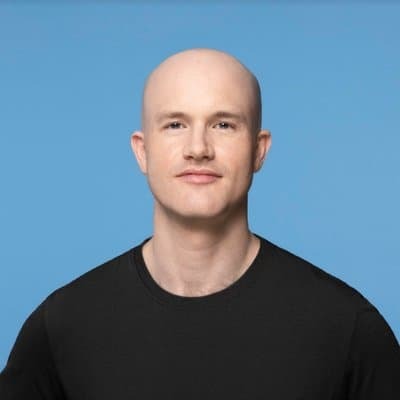 Overall Coinbase is an excellent choice for a wide range of users and one of our top recommendations when it comes to buying BTC with a credit card. Please see our full Coinbase Review for further details on the exchange. 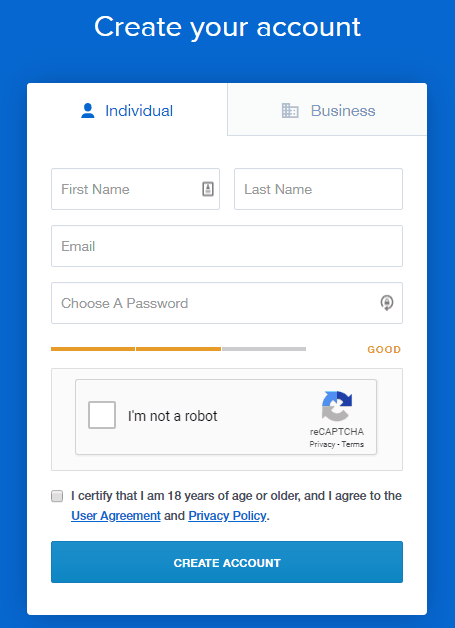 Provide your full name, email address, create a password, and agree the terms and conditions on the ‘Create your account‘ page. 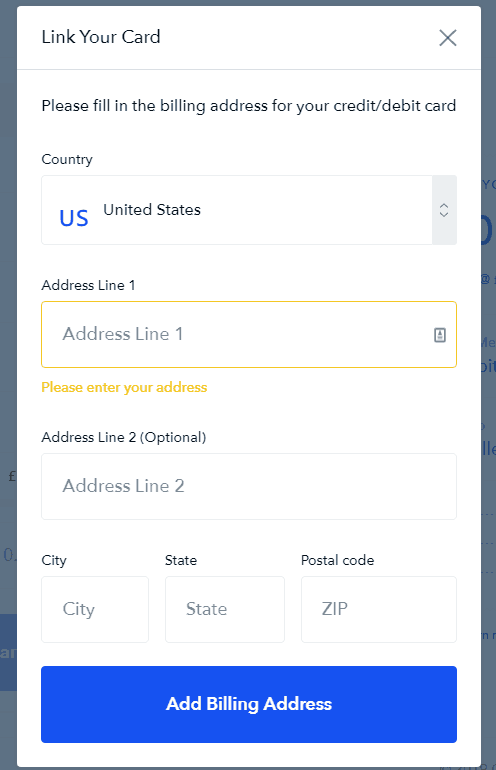 Coinbase will then send you a verification email which you need to verify to prove its your own email address. 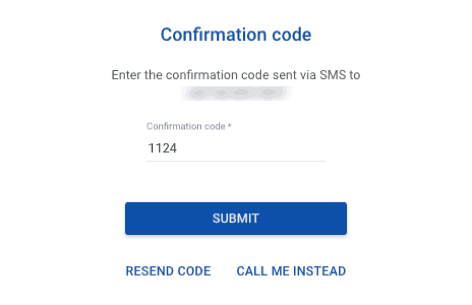 Provide Coinbase your phone number and submit the randomized code sent to your mobile device. Your account creation is now complete. To be able to purchase cryptocurrencies on Coinbase you will need to verify your identity. You can do this from within your account settings and it will require you to upload various documents such as images of your Identification Card, Driver’s Licence, or Passport. 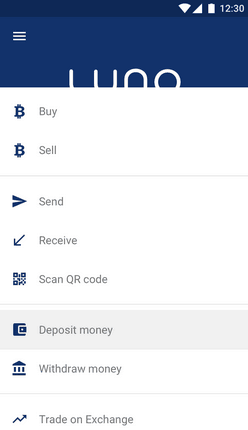 Click the Buy/Sell tab at the top of your screen in your Coinbase account. 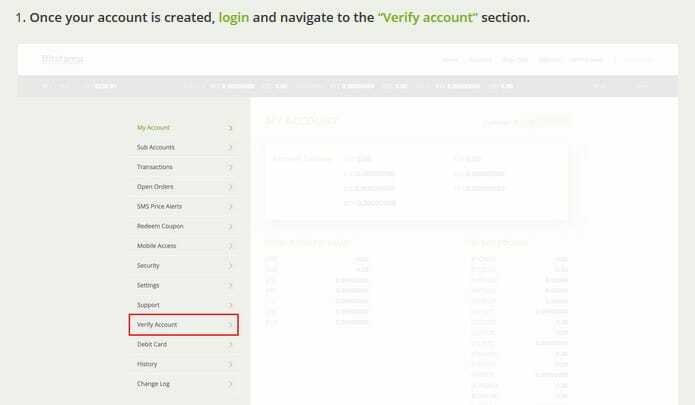 You then want to click ‘Add a new account’ in the Payment Method section as seen in the image below. You then want to click ‘3D Secure Credit Card’ in the Add Account section that pops up. 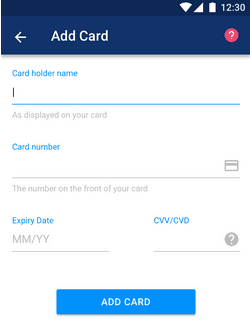 You can then link your credit card to your account by providing your card details and billing address. You are now ready to purchase Bitcoin with your credit card which can be done via the Buy/Sell page in your account. 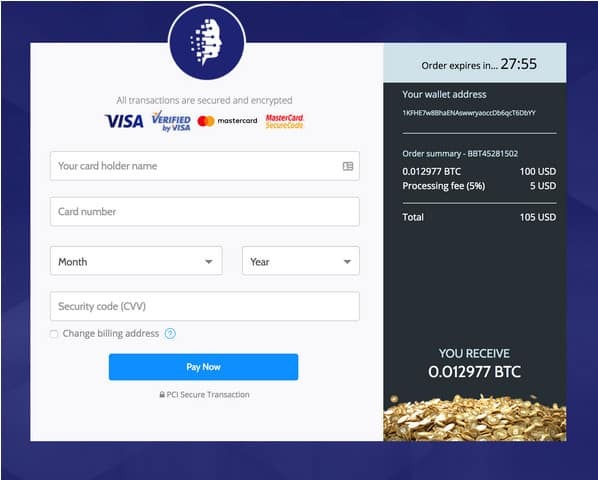 You can then select Bitcoin as the cryptocurrency, select your credit card as the payment method, enter the amount of Bitcoin you would like to buy, and then finally click ‘Buy Bitcoin Instantly’ to make the purchase. Coinmama is one of the oldest and most established Bitcoin brokerages in the market today. 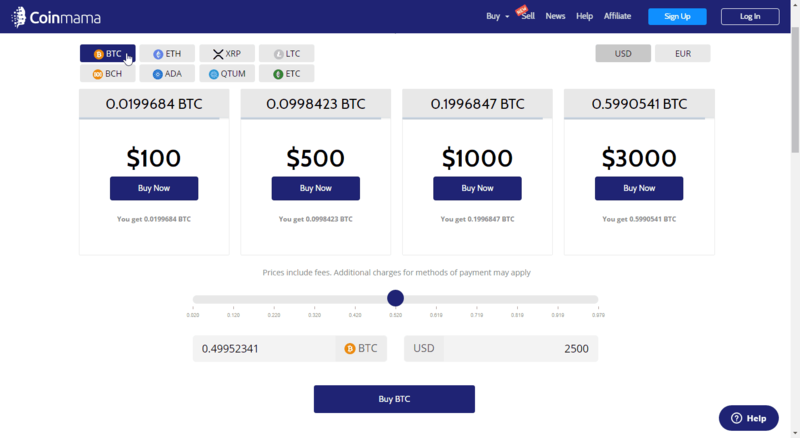 Coinmama focuses on providing customers with a fast, simple and enjoyable experience when buying Bitcoin, and has extensive support services for ensuring that people new to the crypto space can buy Bitcoin with ease. Coinmama has Bitcoin purchase limits based on both the level of verification and daily/monthly maximums. Overall Coinmama is a great choice for Bitcoin buyers of all levels of experience who simply want to do so in a quick and efficient manner. Please see our full Coinmama Review for further details. “Given the speed of our account verification service and our support for credit/debit cards, we believe that our service is the nearest thing to instant online bitcoin purchases which a newcomer to crypto can find. 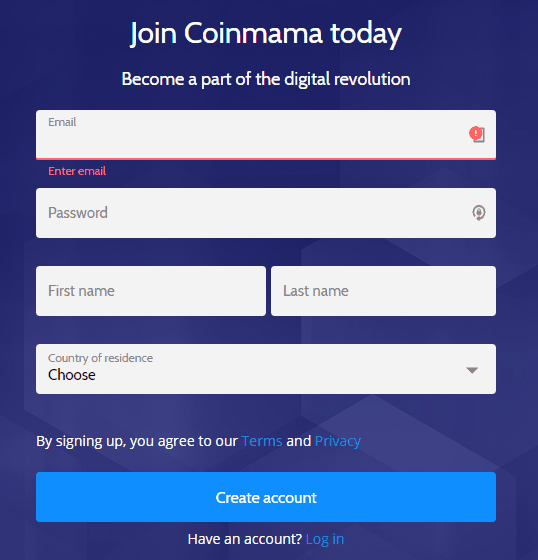 From the homepage, you can choose to sign up and register your Coinmama account using your email, first name, last name, and country of residence. Log into your account. 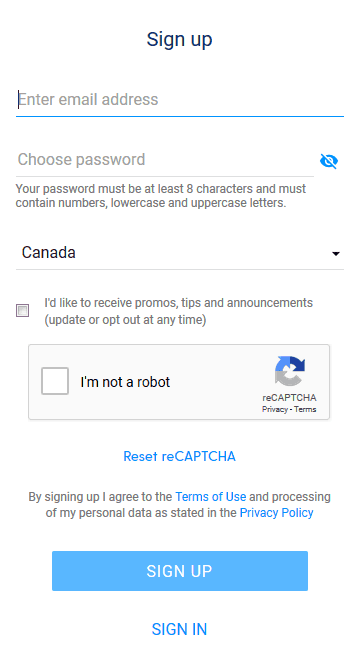 Select the verify your account option from the homepage. Fill out the details of the personal information form. Upload your identification document. You can start buying Bitcoin at this level of verification. 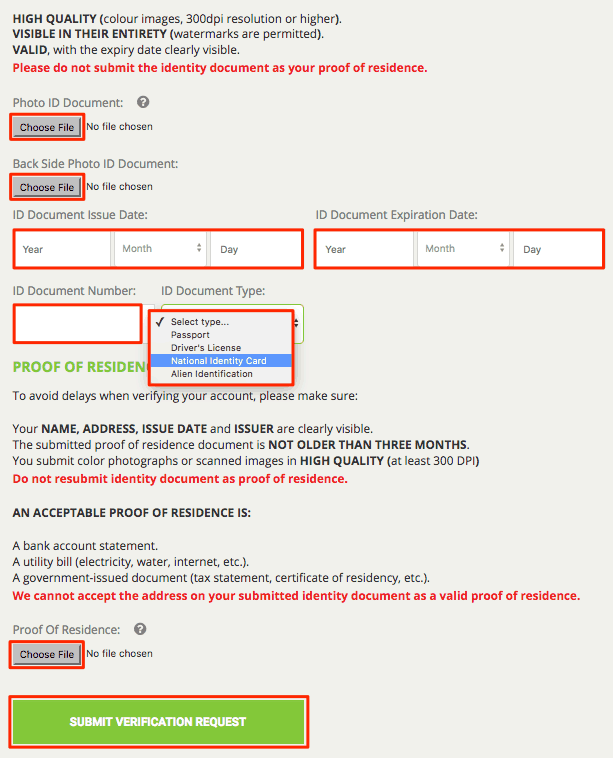 Upload your proof of residence document if you wish to increase your account limits. Return to the homepage. Select Bitcoin as your cryptocurrency and choose the amount to buy. The price in your currency will be listed beside the amount of Bitcoin that you are buying. This price includes the transaction fee, but not the additional credit card fee, which you will need to calculate for yourself. 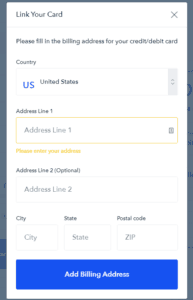 Select the Bitcoin wallet address where you would like to receive the purchased Bitcoins. 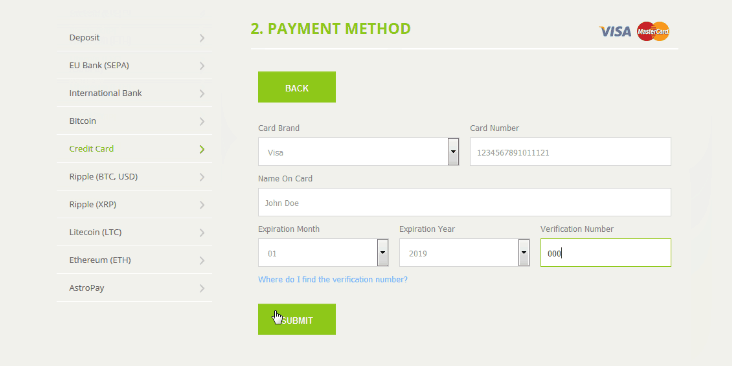 Select the debit/credit card option for your payment method. Fill out the details for the selected credit card that you will be using. Bitpanda is a cryptocurrency exchange that offers services to customers in a large number of European countries and offers a huge range of flexible payment, transfer and withdrawal options to suit practically every user. This flexibility combined with low fees, strong customer support, and ease-of-use have made Bitpanda one of the most popular cryptocurrency exchanges in Europe. Bitpanda has daily, monthly and total limits for depositing funds with a credit card to buy Bitcoin. 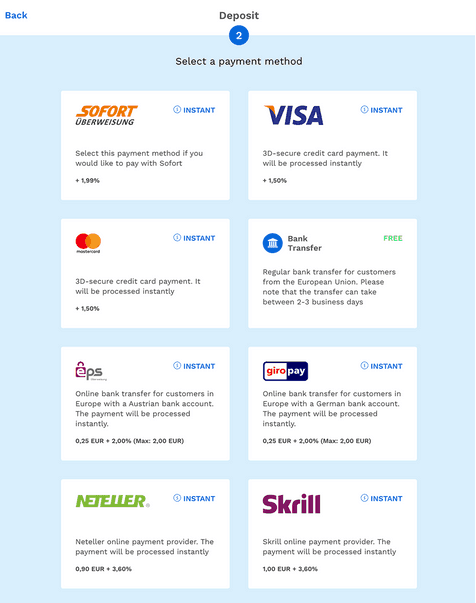 Buying Bitcoin with a credit card on Bitpanda is easy, fast and cheap for users from most European countries. 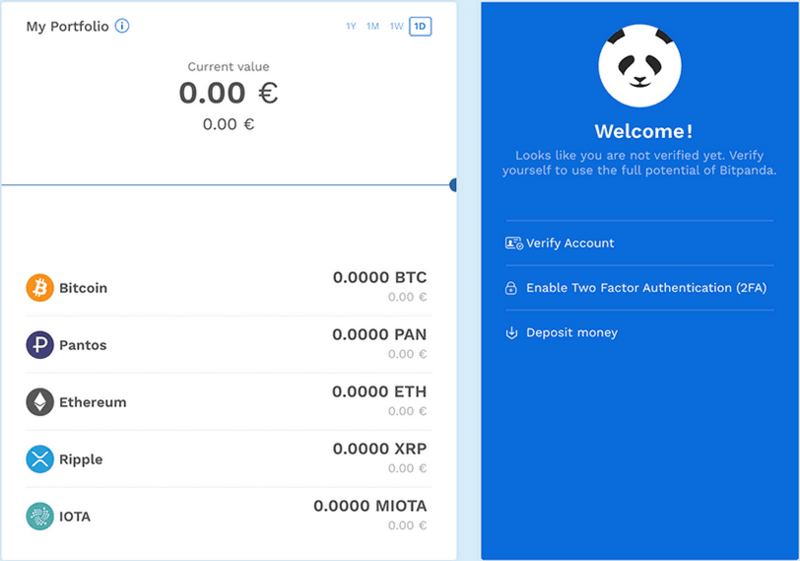 Bitpanda also offers a functional Bitcoin wallet for storing, transferring and trading your Bitcoin after your purchase. Please see our full Bitpanda Review for further details. 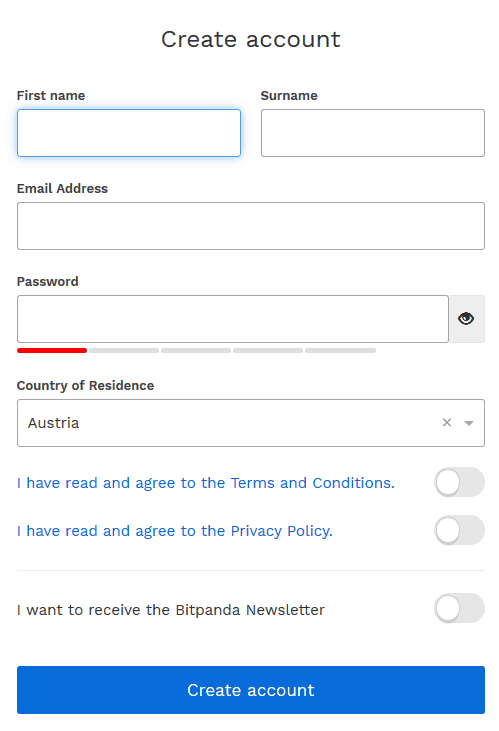 Register your Bitpanda account using your email, first and last name and country of residence. Once your account is registered, you will need to log in and go to the Bitpanda dashboard. 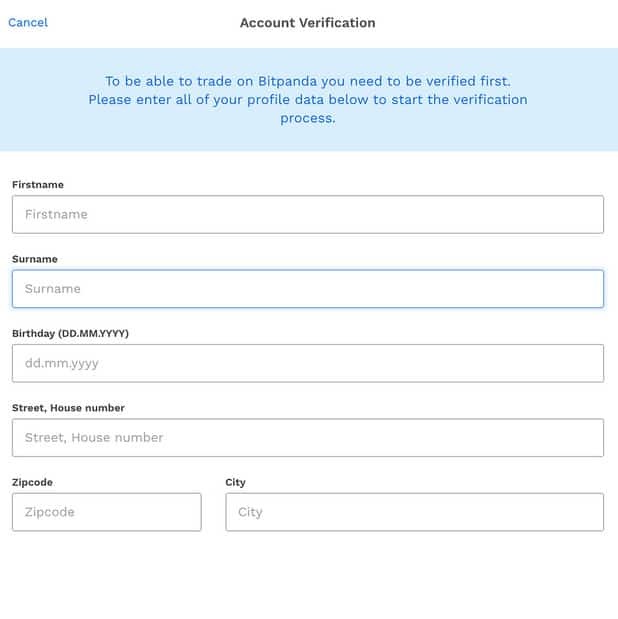 From the Bitpanda dashboard, there is an account verification option. To verify your account, you will need to fill out an information form and have your ID verified by either image or webcam. To buy Bitcoin on Bitpanda with a credit card, you will need to deposit funds from your credit card into one of your fiat wallets in your Bitpanda account. 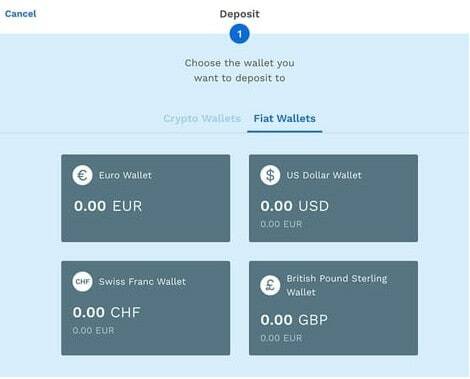 Start by selecting deposit from the dashboard and then the appropriate fiat wallet. 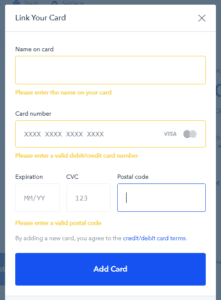 Select the credit card that you will be using to make your Bitcoin purchase. Choose the amount that you would like to deposit from your credit card. Confirm the purchase. Return to your Bitpanda dashboard and select your Bitcoin wallet. From this screen, you can choose to buy Bitcoin with your deposited funds. Choose the funded fiat wallet that you would like to make your Bitcoin purchase with. Select the amount of Bitcoin that you would like to purchase, and then confirm your order. Your purchased Bitcoins will be transferred to your Bitpanda Bitcoin wallet. From there you can send them to an external wallet if you desire. CEX.IO was one of the first-movers in the cryptocurrency exchange industry and used to be a major Bitcoin mining organization. This history and commitment to cryptocurrency show in its sleek and well-organized exchange business. CEX.IO offers 9 major cryptocurrencies, fiat currency support, and an advanced trading platform. CEX.IO has daily and monthly deposit limits for credit cards. 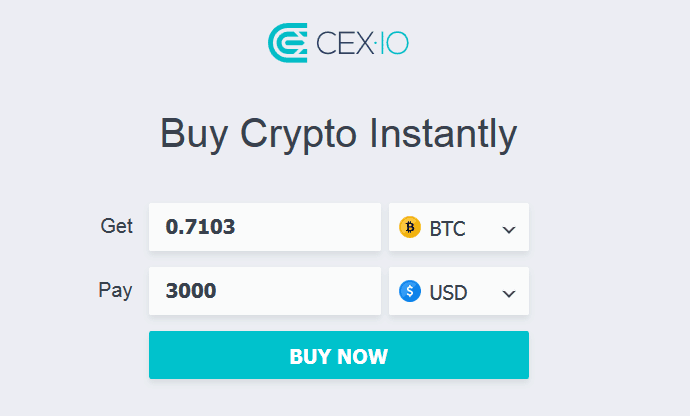 CEX.IO’s robust trading platform, low transaction costs, and reasonable credit card deposit fees make it a top choice for many crypto investors. 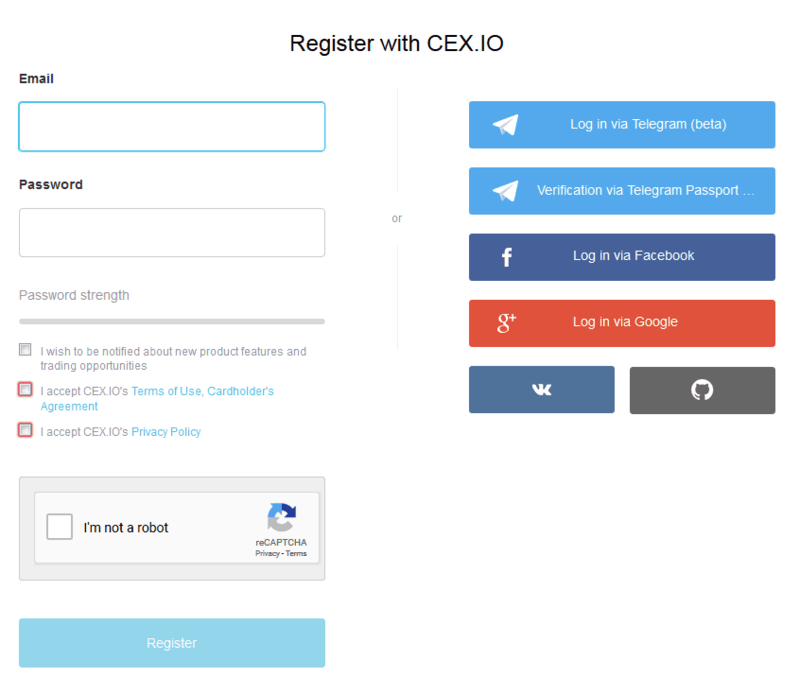 Register your CEX.IO account using your email. You will also need to confirm your account using a telephone number. Login and start the identity verification process. 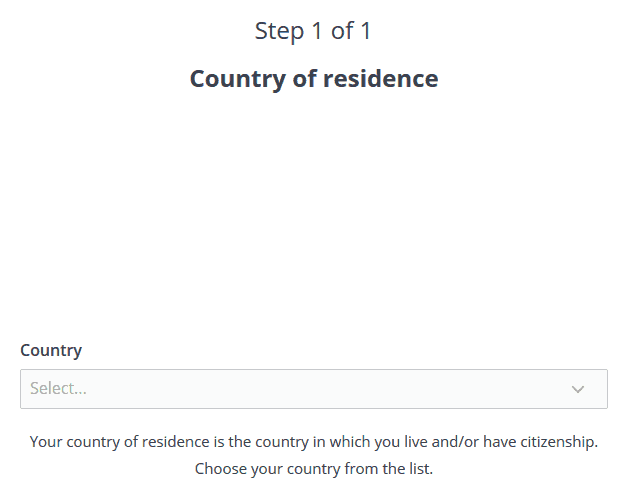 Select your country of residence, and input your Tax Identification Number if your country has one. Choose your form of identification. Upload photos of your documents. Take a selfie of yourself holding the document. Upload the photos. Fill out the necessary information about yourself. Fill out the necessary information about your identity document used for verification. Upload an image of a document that confirms your address, such as a recent utility bill. Fill out the necessary payment card information for the credit card you intend to use. Take a selfie of yourself holding the credit card and upload. Take 2 photos of the front and back of your credit card alongside your identity document. 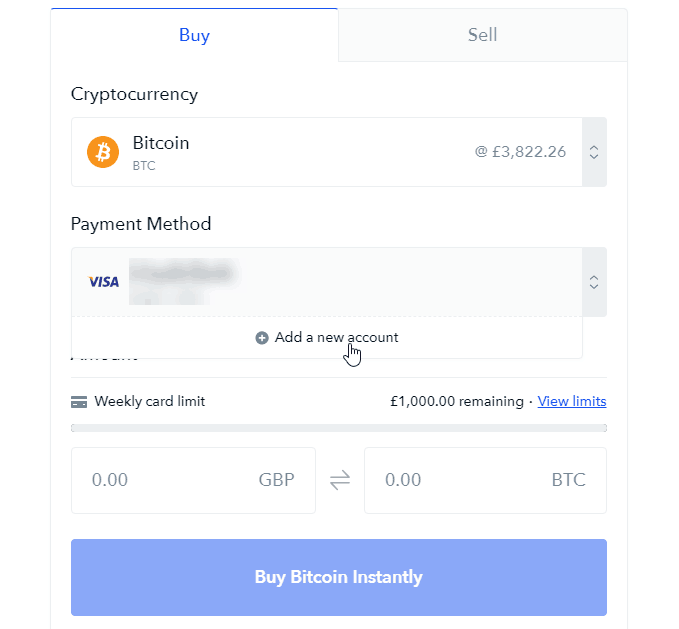 From the main account page, choose the option to buy crypto instantly and select Bitcoin from the dropdown menu and input the amount. Luno is a Bitcoin and Ethereum exchange designed to make it easy for people new to the crypto space and also has a focus on countries in Asia and Africa, including Indonesia, Malaysia, Nigeria, and South Africa. Luno’s interface is simple and intuitive, and the exchange supports a large customer base of people for Bitcoin and Ethereum investing. Luno also has an extensive learning portal to help support users who want to increase their knowledge and trading skills. Luno has very low daily and monthly deposit limits for accounts that are only ID verified, but this jumps to an industry-leading limit with verification of residence. 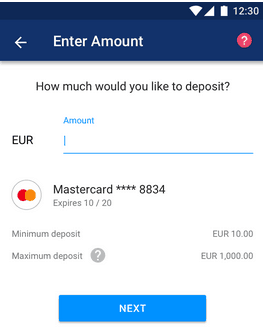 Note: If you register for Luno using the button above you’ll receive to 15 Euros worth of Bitcoin when you deposit money into your Luno wallet and buy or sell Bitcoin to the value of EUR 250.00. Use your email address to register your Luno account. 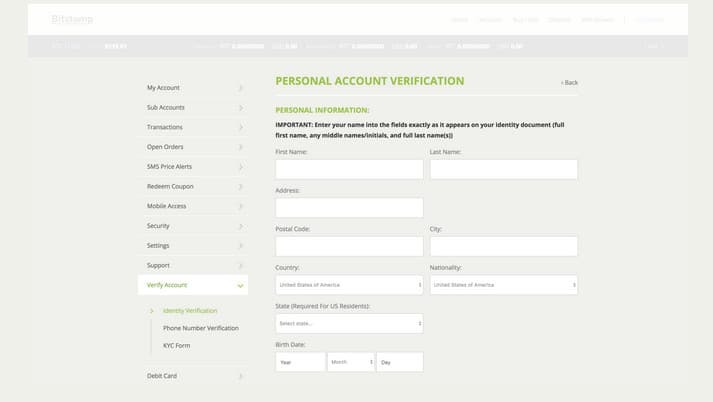 Log into your new account and begin the account verification process. Input your telephone number and then confirm the code that was sent to you either through voice or SMS. Mobile verification is enough to start buying Bitcoins in some supported countries. 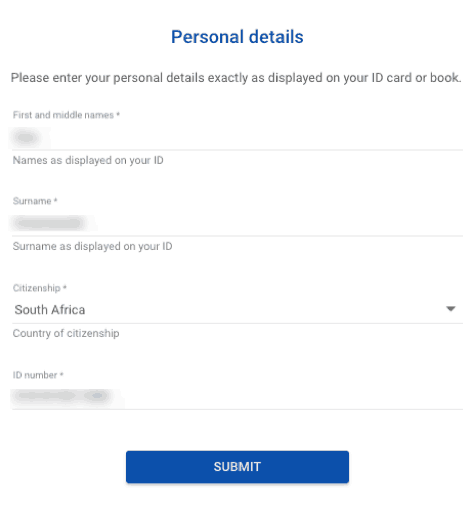 If not, then you will need to upload an accepted document based on your country of residence to confirm the information supplied in your personal details. 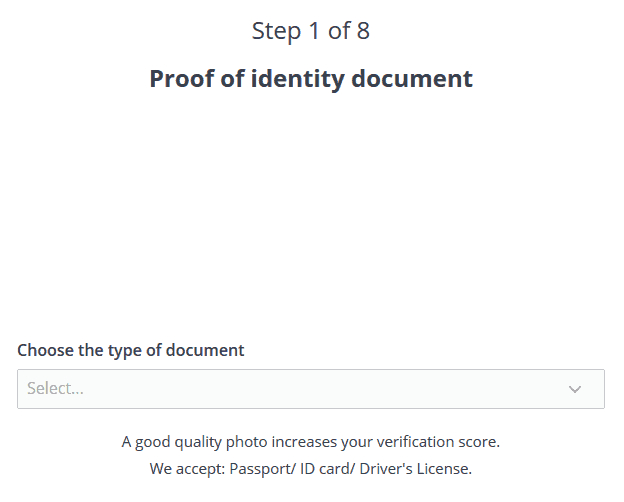 To access the 3rd verification stage and the maximum deposit limit, you can voluntarily upload documents that confirm the permanent residence information you provided. To deposit funds from your credit card to purchase Bitcoins, go to your main account page and select the wallet for the type of funds you will be depositing. On the select payment screen, add the details of your credit card. Enter the amount that you would like to deposit from your credit card. 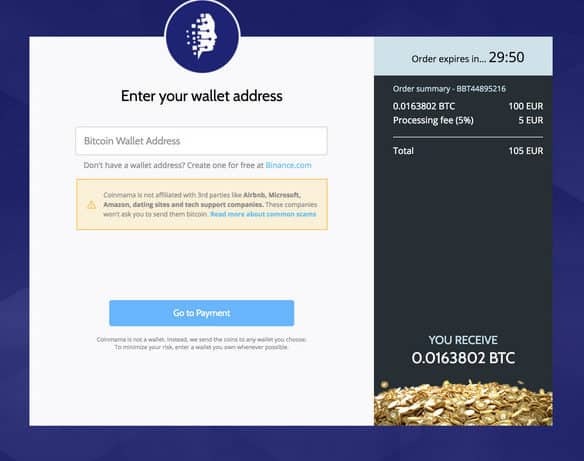 Return to the wallet screen and select the Buy option under your Bitcoin wallet. Choose the currency that you would like to buy your Bitcoins with. Choose the amount of Bitcoin that you would like to buy. Confirm your Bitcoin purchase if all the details are correct. Luno also offers the option of setting direct market orders with its exchange feature. Bitstamp has a very sleek set-up and is backed by a subsidiary of NXC, a South Korean gaming giant that is a big player in the crypto industry. While Bitstamp may not offer the same level of support and educational tools as some other exchanges, the sheer straightforwardness and simplicity of the site and services mean that anyone can comfortably buy Bitcoin using a credit card. 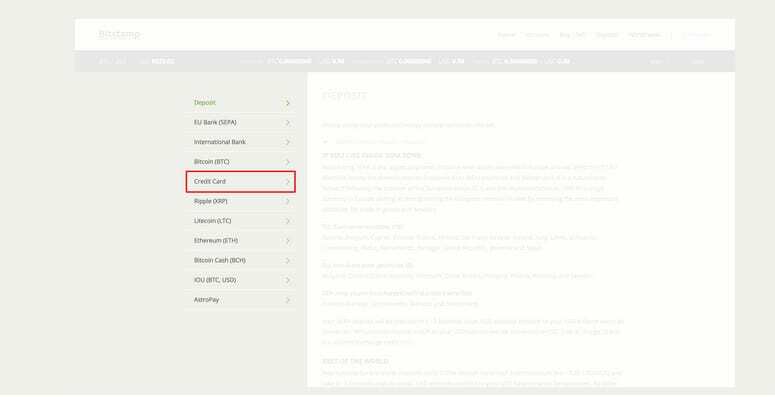 Unlike most exchanges/brokers which allow credit card purchases, Bitstamp does not place any daily, monthly or account limits. Overall Bitstamp is a strong choice for people from all backgrounds to buy Bitcoin with a credit card, especially those who want to get into Bitcoin trading. 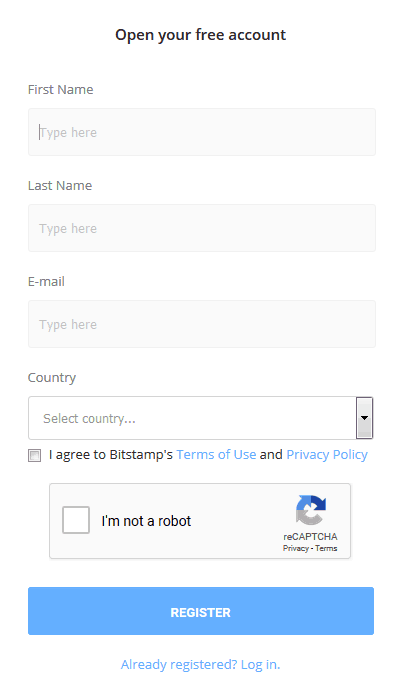 Register your Bitstamp account using your first name, last name, email address and country of residence. Log into your account and proceed to the verify account tab. Choose to verify a personal account. On one screen you can upload photos supporting your selected identification and proof of residence documents. Return to the main account page and select the credit card tab. Choose the amount of Bitcoin to buy and the currency you will be paying with. Fill out the necessary credit card information. Here is a brief FAQ to cover some of the main questions that arise when people are buying Bitcoin with a credit card. Cash advance fees can sometimes be charged on credit card Bitcoin purchases depending on the bank that supports the credit card. These will be in addition to any charges from the broker/exchange. While this practice is in decline, you can check with the bank that supports your credit card before making a Bitcoin purchase. Service providers argue that credit card purchases are generally more likely to be declined, for which they can still incur charges and use up valuable time and resources. They suggest that the higher fees are meant to offset these costs of offering a credit card option for buying Bitcoin. Not anymore from any reputable service providers. The world of cryptocurrency is increasingly regulated, and the use of credit cards means that service providers are forced to follow strict financial laws. There are still alternate options out there, but nothing like the safety and ease of using an established crypto service provider. There shouldn’t be any general risks to providing your credit card and account information. That said, keep tabs on the crypto service providers where you have submitted information, and if there is a hack reported, then take the necessary precautions to protect yourself. Just like you would with any other online service provider. Never use the same password for any important accounts, crypto or otherwise. Using a strong random password generator is recommended.